A Racing Plane's Own Story. DJ, 1942, Hardcover. 1942 Holden, Lansing C. (illustrator). Holden, Lansing C., pub. by Edith Holden Webster, nd, c1942, 1st Edition 1st Printing, illus. cloth, illus. end papers, dj, unpaginated, B & W illus. by the author, tall 8vo, 'First Printing' stated. . Archival Wrapped DJ. 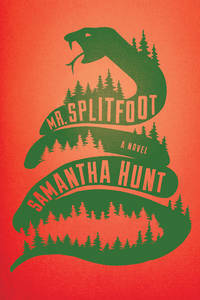 Mr. Splitfoot - a Novel. Signed Hardcover in New Slipcase. Houghton Mifflin, 2016. 1st Edition. Hardcover. Part of Powell's Indispensible series, signed on publisher's special page. Housed in red pictorial editor's slipcase includes interview booklet # 57. Signed. NOTE: This example is in the unopened shrinkwrapped slipcase, therefore some of the above descriptive notes are conjecture from other similar copies online. Certainly if it proves to be unsigned a refund will be happily provided. I hesitate to unwrap it as this is in the best possible condition. . By Author. First. Hard Cover. As New/As New. 8vo. Slipcased Edition. 2011 292 pages, a "PROOF" copy, stAted on the final end page. . Near Fine. Bagged in Clear Poly. The Man That Corrupted Hadleyburg and Other Stories and Essays . First Printing, Hardcover, 1900. By TWAIN, Mark (Samuel L. Clemens). 1900 Harper & Brothers, New York and London, 1900. Cloth. Condition: Very Good. First edition. 398 pp., 8vo. Cloth hardcover. Very Good. First edition, first state with "page 2" on illustrated page after page 2. Gilt-stamped red cloth. Clemens' portrait frontispiece. The main story being a satirical replay of the Garden of Eden story. Also containing Twain's: About Play-Acting. At the Appetite-Cure, Travelling With A Reformer, My Boyhood Dreams & more. Slight soiling & shelfwear to boards. A good 1st edition reading example from a rural northern NH library with their bookplate and pocket, spine sunned and cocked, nice place keeper. . First. Not Quite Dead Enough - 1944 First Hardcover Edition, A Nero Wolfe double mystery with "Booby Trap." NY: Farrar & Rinehart Inc., 1944 A first edition with "War Edition" stated on the copyright page and the publishers colophon above the date at the bottom of the page. The book is very good in Red cloth with black titles, top edge a bit soiled. 220 pages housed in a Fine and colorfully beautiful (faux) dust wrapper (Ad for Black Orchids on verso and price of $2.00) from a professional source. The pink orchid/handgrenade combination is quite stunning. The Nero Wolfe double mystery with "Booby Trap." . Very Good/Fine. Mcclurg, 1913 A nice example with little wear, great color illustrations and front cover ppo. . First. Illus. by Underwood, Clarence. 1884 Thomas Nelson & Sons, 1884. hardcover, Condition: Very Good. Thomas Nelson & Sons, London, 1884. decorated dark green cloth with seal-clubber and Gilt title block on spine, 393 pages, 41 full-page illustrations. Owner signature 'Charlie Parson's Jr.' on front blank dated 1886. Floral end papers, a bit cocked. NOT a library copy. .
Hardcover Publisher: Enterprise Press, Falmouth, Massachusetts, 1930 Used - Very Good. First Edition, privately printed. Romance of New England and the village of Harvard, Mass. Near Fine in a like dustjacket, archivally wrapped. Second printing (October, 1930), limited edition assumed though not stated. First was in August, 1930. . Archivally Protected Dust Wrapper . Longmans, GREEN, 1867 Contains the quarterly list of the publisher. Complete with yellow & blue paper ads. . B&B - Book Moose B&B (Bagged & Boarded). Fair to Good. 2012 a first edition hardcover. Flat signed by the author on the title page, 'Autographed Copy' sticker on the front panel of DJ. About Fine-, very mild wear. . By Author. First. About Fine/Near Fine. Of Time and the River. First Hardcover Edition, 1935. New York: Charles Scribner's Sons, 1935. Original black cloth with glt titles in gilt and green fields. 912 pages with the publishers note bound in preceeding the 1/2 title. Out of print. First Printing ('A' present). Cloth, very good/No Dj. Bagged for Posterity. Longmans, GREEN, 1867 Contains an interesting ad for 'Anthony Trollope's' new novel and magazine to begin publication on the first of October, a 4-p insert. Complete with yellow paper ads in the front. . The Pot Thief Who Studied; Ptolmey, Billy the Kid, Escoffier, Einstein, D. H. Lawrence, Pythagoras. 5 SIGNED + 1 Not. All about fine- to fine. Lot of 6 books, all but 'Pythagoras' are flat signed by the author on the title page of each book. "Staff Pick" and "Autographed Copy" stickers to the FC on each book as well. All bound alike with the Aakenbaaken & Kent logo on the colored spines. A nice set of popular signed books. . Trade Paperback. About Fine. 8vo - 9" x 6". 1928 Queer Street Published by: The White House, 1928. VG condition in a very chipped dust wrapper. .
Harcourt, Brace and Company. Hardback. No Dustjacket. 1939 reprint of the 1933 classic (Book list of titles goes to 'Boy with a Pack', 1939). Ex-Library Copy With library markings. The card pocket in the rear still has the original card! Small white ink library mark on spine, A good example with Average Wear in Good condition that is reasonably priced. . Good/NA. Bagged for Preservation. Pinkham's Notch - Fine First Printing. Peter E. Randall Publisher, 1998 Quite scarce limited printing by Peter Randall. Likely unread. . Bagged for Posterity. near fine in a like unclipped dust wrapper. . By Author. The Fruit Of The Tree First Printing, 1907. 1907 A frue first printing dated MDCCCCVII (1907) on the title page. Please inquire if interested in condition description which is near fine. . First Edition. Sights and Insights - First Editon, Volume II, 1876. 1876 Boston: Osgood and Co., 1876. Vol. II of the Two volume set. Dark brown cloth, ruled in blind, lettered & decorated in gilt. pp 345-677. A very clean example with only minor wear, spine sunned. Signed in quill or fountain pen on the second blank, "Beth from Emily April, 7th, 1876." Included is an original lending library slip with the lendee's name in pencil, appears TOC or before, a nice bit of library ephemera. .